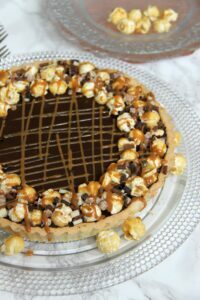 A Sweet Shortcrust Pastry Base, Salted Caramel Filling, Delicious Chocolate Ganache filling, and even more caramel goodies. 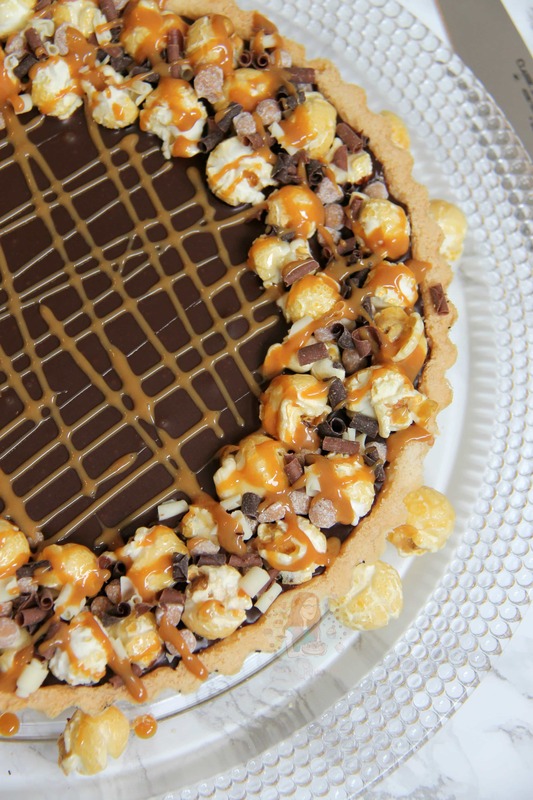 Salted Caramel Chocolate Heaven! 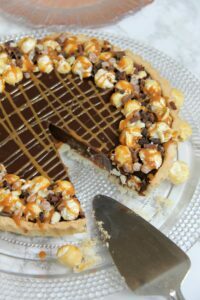 After the success of my Ferrero Rocher & Nutella Chocolate Tart I thought I would create my other favourite dessert I make for dinner parties and friends houses – this wonderful creation! I have never seen anything wrong with using the same principles and ideas for baking and just altering them too fit a new recipe. When I was younger I have always loved Millionaires Shortbread – such a good treat, and something I will always buy from the local bakery if I haven’t arrived too late! This recipe I like to think is similar to that, just altered into a more grownup style dessert! This recipe has a DELICIOUS sweet and thin pastry base and sides, with a scrumptious salted caramel layer, topped with the most delicious chocolatey ganache filling – so unbelievably tasty a combination. 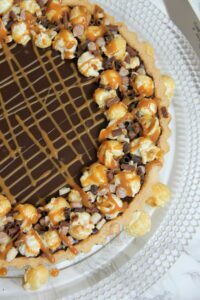 Topped with some popcorn and some caramel sprinkles, it is the IDEAL dessert for any occasion, and would undoubtedly be a showstopper of a dessert for an evening meal! 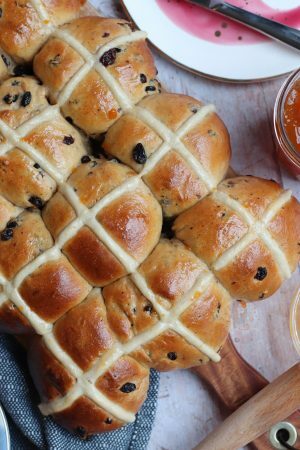 RECIPE UPDATED APRIL 2017 – I have posted this recipe in the past but I made a few slight alterations and decided to repost with my better baker-knowledge! 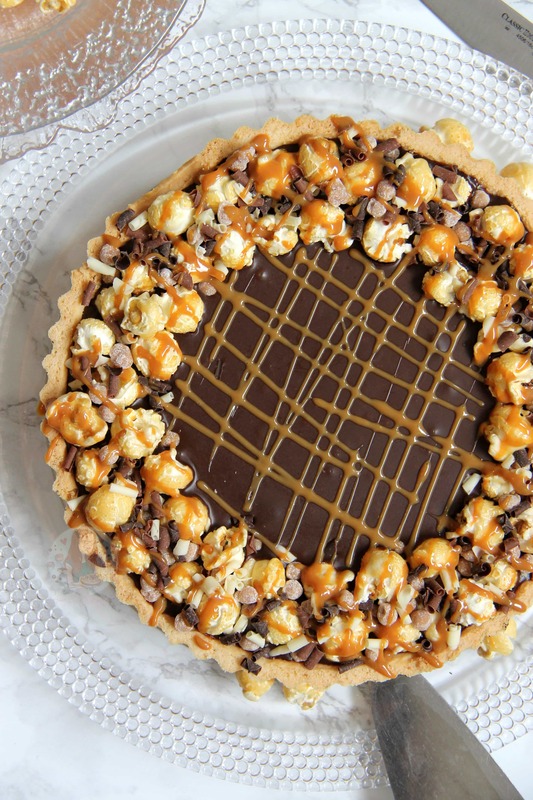 This recipe makes a delicious 8″ tart! Serves 10-12! 1) Pour the caramel (homemade or shop bought) onto the base and spread evenly – you don’t want too much but then again, its completely up to you. Sprinkle over the sea salt! 2) Pour the double cream and Vanilla into a small heavy based saucepan and heat gently. Stir occasionally! 3) In a separate large bowl add the Chocolates, and unsalted butter. Once the Cream is just starting to boil, pour the cream over the chocolate/butter mix, and whisk till smooth. 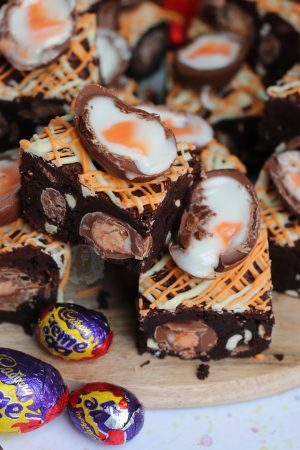 If the chocolate doesn’t fully melt, microwave the mixture in 10 second bursts till it does. 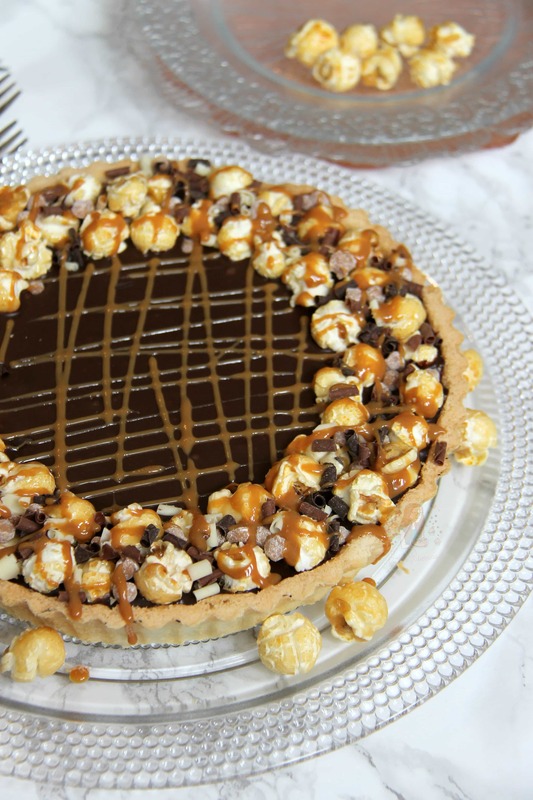 4) Pour this on top of the Caramel and spread evenly. 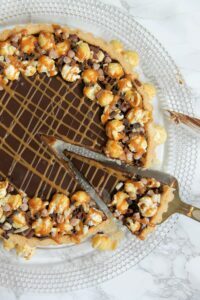 Add some Caramel Popcorn to the edges of the tart, and add some sprinkles and such to give it some definition and let it set into the chocolate filling. 5) Leave to set in the fridge for at least 4 hours, or even over night. 6) Once set, carefully remove from the tin. 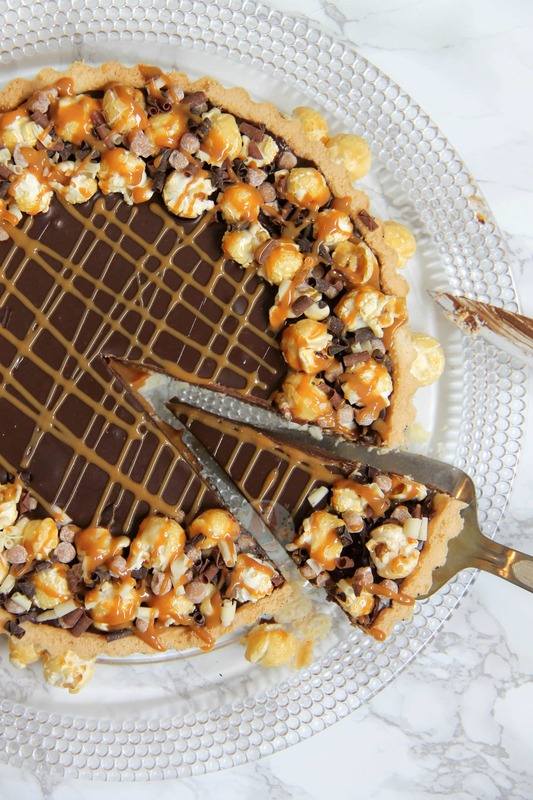 If you want, drizzle over some more caramel and enjoy! If I have any leftover caramel sauce, particularly if I have made it myself, I will save it in a jar and pour a little over the top of this dessert, or I will use it the next day and make a snappy ice cream sundae. The possibilities are endless! This dessert is also amazing when served with just a drizzle of cream, or a scoop of ice cream! If you are using shop bought pastry, which I can often do as its SO much easier, follow the packet instructions. The timings should still be similar to this recipe. This dessert will last for 2-3 days after baking. 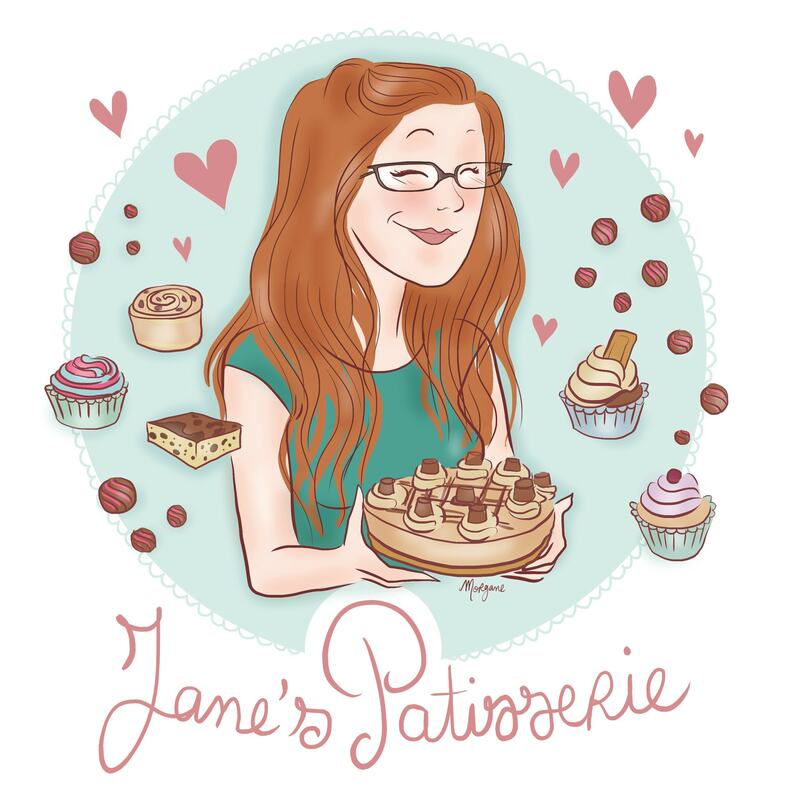 Find my other Brownie/Cheesecake Recipes on my Recipes Page! 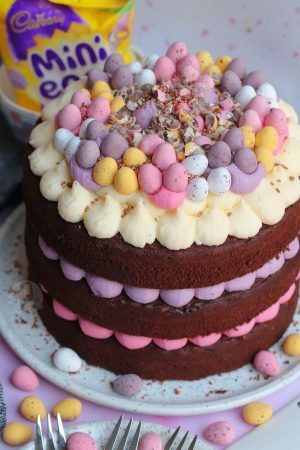 Older Next post: Victoria Sponge – Celebration Cake! 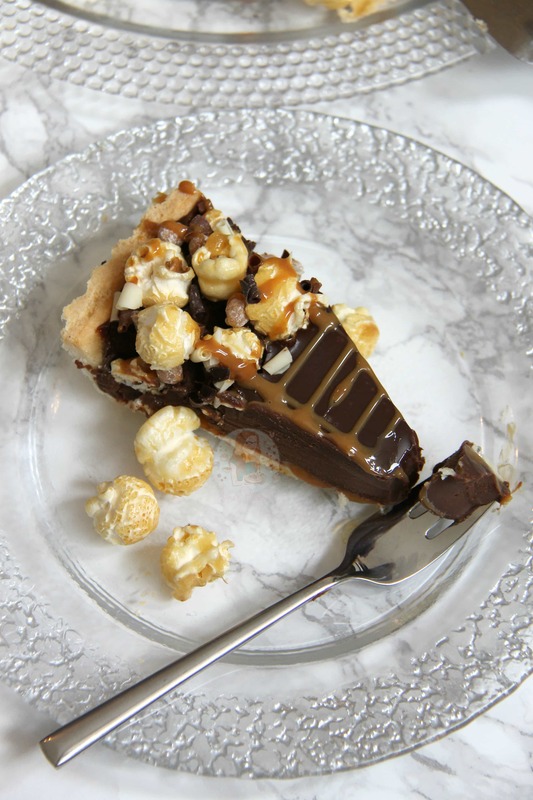 Newer Previous post: No-Bake Caramel Rolo Cheesecake! By hand! Rub the ingredients together by hand, and then mix with a spatula till a dough is formed – just takes a while! This looks absolutely delicious. Wish I could have a piece right now. Thank you for sharing. Thank you! And I wish I could give you some! Popcorn can be involved in a recipe so much more than we can imagine. I found out that adding it to soup at the table is a wonderful addition. Instead of putting corn directly into your soup recipe, add the popcorn at the last minute. Kids love the concept, too as they can listen to the sizzle as popcorn is incorporated into the soup. It makes the most reluctant kid decide to try eating the soup. But it may not win over the popcorn-resistant child. Imma take that as a good thing 😉 hehe thank you! Yayy! Please do! Let me know how it goes!! ok, scratch that! 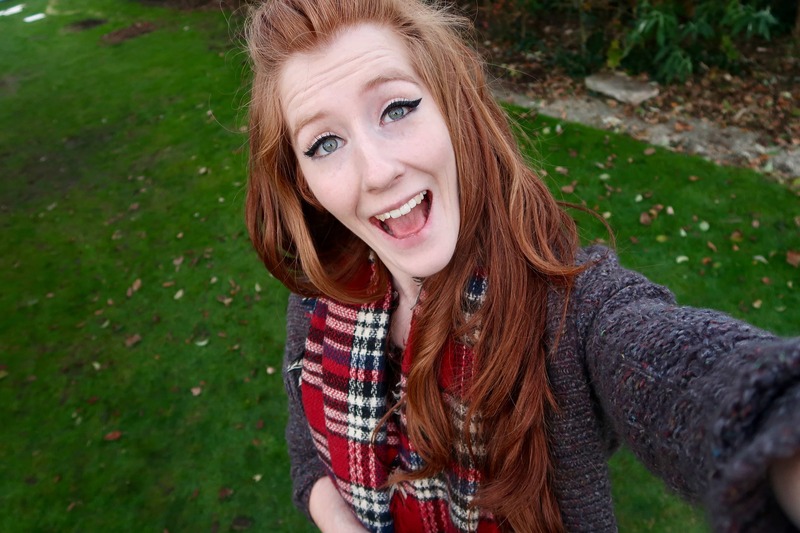 I’m going to make EVERYTHING on your blog, its awesome!! This looks amazing! P.S. Love the new look on the blog! Thank you!!! And yes haha please do! Oh definitely, my favourite part of a meal haha!